Determining just who’s who among the helmetless Bronze Bombers of 1997 is tricky business. The small head shots on the file cards don’t always help with this, either. I’ve found that identifying the hair style and facial hair may be the best route to avoid confusing a Shortburst with a Suppressor X.
Justice’s specialty according to his card is Weapons Vanguard. However reading the bio itself leads one to think of him as a pilot. Then again, I don’t have any idea just what a weapons vanguard is anyway, so he may well be a pilot. I try not to think too hard when it comes to these guys. I just enjoy the Hasbro molds in unique colors. 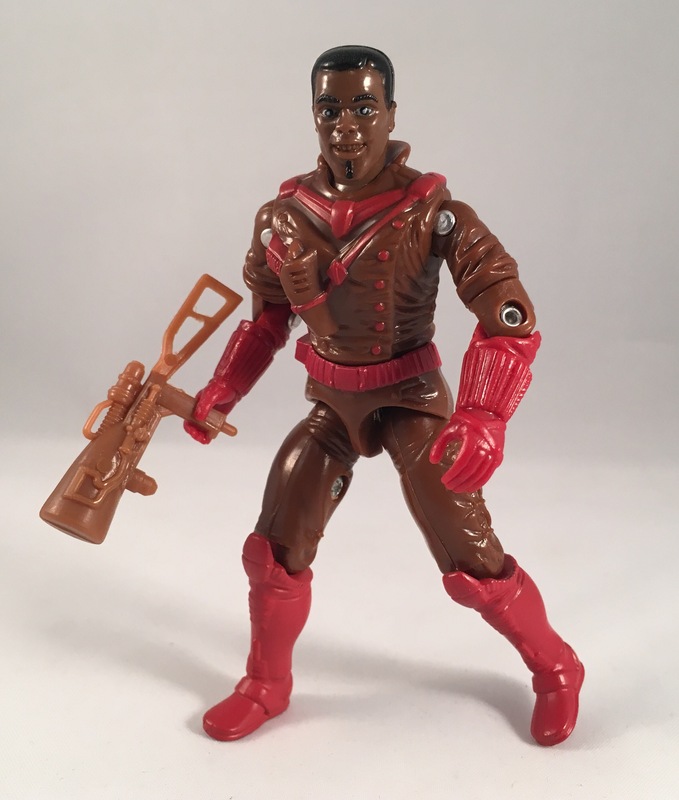 Justice uses the body of Strato-Viper, done up in a simple and subdued color scheme. 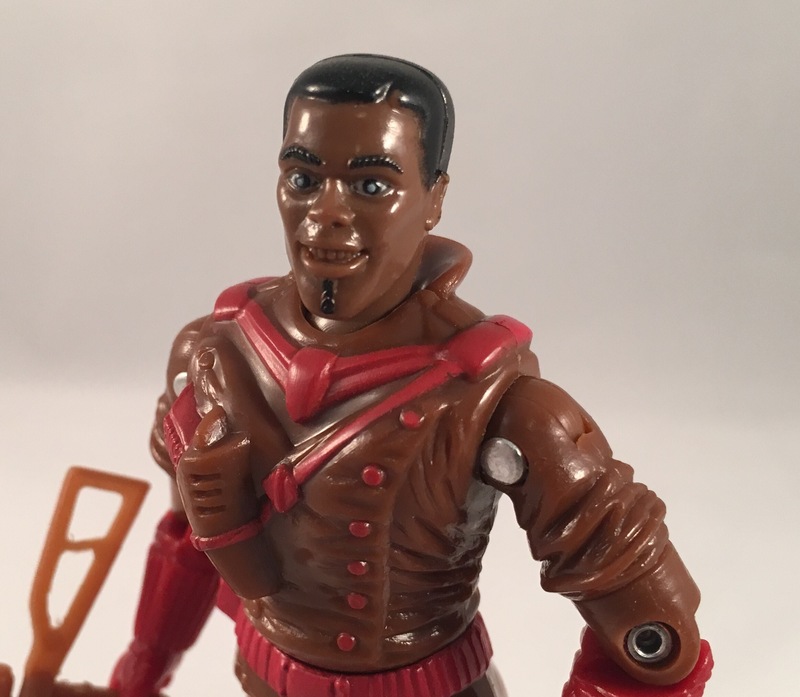 I would like to think this is by design, but judging from the other figures, it looks like two colors was the max for a figure in the set. The end result is still nice, and the head sculpt is decent, if not a little odd looking thanks to the eye detail. He’s got a thousand-yard stare, for sure. Maybe that’s due to his long time training to be a weapons vanguard. I look at the face and I see Chris Rock. I see more of Chris Tucker. I see Chris Gaines…I see beyond color. 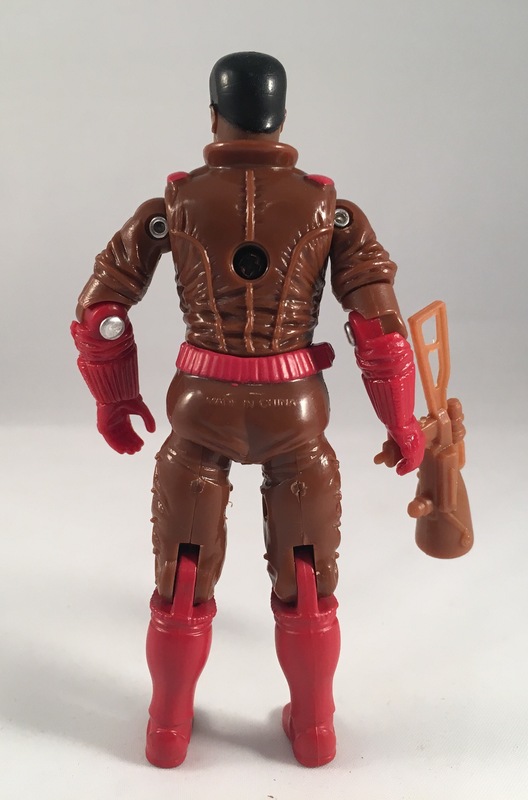 I’ve never owned one of the good guy Bronze Bombers, just Pyro’s Band of Thugs. Both sets suffer from two tone design which is limiting, even on the solid molds.